We are very pleased to announce that Baran Çağinli, our first Artists at Risk (AR) AR-Saari Residence/Saastamoinen Foundation Resident in Mynamäki and Helsinki from 1.10.2017 – 31.1.2018, will be staying longer in Helsinki courtesy of PM’s AR-Safe Haven Helsinki. Hosted at the Eläintarha Villa and HIAP, Baran will continue the new commissions started and generously co-funded by AR-Saari Residence/Saastamoinen Foundation. These works will come to fruition and be exhibited in 2018/2019. Baran Çağinli is also working on a project with PM’s PLURIversity, funded by the Kone Foundation. AR-Safe Haven Helsinki is curated by AR/Perpetuum Mobile(PM) and co-hosted by PM and HIAP – Helsinki International Artists Programme on Suomenlinna. 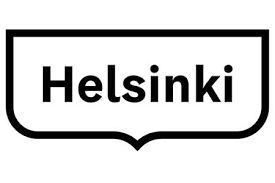 It is funded by the City of Helsinki, Department of Culture.